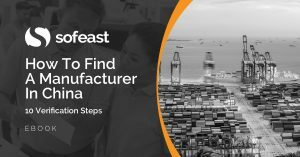 Up until now, I have explained how to find a good supplier and what terms to negotiate from the get-go. But this is not enough. Buyers who are new to China often make a mistake: they trust their suppliers too much. How to keep leverage over suppliers? China is a dog-eat-dog environment. You can’t trust a company simply because you have checked and qualified them. You need to structure your deals in such a way that you keep some power over your supplier and do not become financially vulnerable. I’ll suggest three good ways of keeping this leverage. 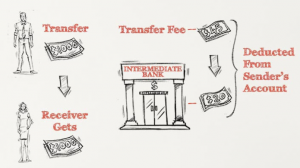 Bank wire (or “T/T”, which stands for “telegraphic transfer”), is the main payment method in international trade. A 30% down payment, before components are ordered. Chinese suppliers like to call it a “deposit”, but make no mistake: they never return it once they receive it. The balance of 70%, to be paid after production is completed. You should try to pay it after shipment, but many suppliers are reluctant to accept this – it means they get paid later than they would like, and they think this gives you the opportunity to “play games” (such as asking for a discount) after they have shipped the goods. In case you cannot negotiate final payment after shipment, make sure it takes place after the product has been inspected and confirmed everything meets your specifications. You might have to pay for molds before you get perfect samples. It makes sense. But, if the value is high, you might want to talk to a lawyer (see section 3, at the bottom of this article). The principle is that you should keep some leverage in your hands as long as possible. In practical terms, this means you owe some money to your supplier until shipment. This way, they will listen to your requests. Never pre-pay 100% of the order before production starts. This is just dumb. I have seen buyers make this mistake and deeply regret it. Try it and you will understand why leverage is important! Never wire the down payment before having a high certainty that the factory knows exactly what you want. Many buyers issue a PO, then receive a perfect sample, and then send the down payment. Never wire money to a personal account. Never wire money to an account name that is different from your supplier name, without asking for a written explanation. As you become a regular customer, and if you feel the supplier is making a decent margin on your orders, you should ask for this payment structure: 30% down – 50% after shipment – 20% after delivery in your warehouse. This is still relatively rare but is slowly becoming more common. 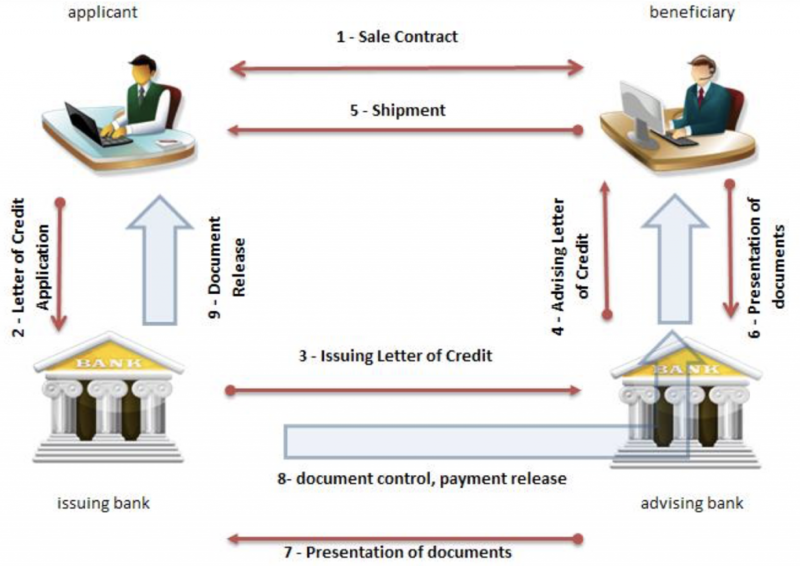 Payments by letter of credit (L/C) are more complex than T/T. But they offer some benefits to the buyer. One of these documents should be a “certificate of quality control by [your nominated inspection firm]”. If the QC inspection didn’t happen or was not acceptable to the buyer, the supplier needs the buyer to “waive the discrepancies” before payment is released. There are virtually always discrepancies. It means that, in the end, the buyer calls the shots. He can decide to waive discrepancies a little late, to extend payment terms. He is in a position to negotiate a discount if the supplier has cut corners somewhere. They are expensive. Banks charge much higher fees for L/Cs than for T/Ts. It means they are not a realistic solution for orders below 30,000 USD. Many suppliers do not accept L/Cs. Maybe they are short on cash (and they need advance payments), or maybe they had bad experiences in the past. But sometimes, reassuring a supplier is enough to have them accept an L/C. Many buyers pay by L/C for their first order with a new supplier and then switch to T/T. If that’s the case, make sure to mention it. Use an international and famous bank to open your L/Cs. Better yet, show a draft of your L/C to the supplier before you open it formally. If they don’t agree on a term that is of minor importance to you, just let it go. Your purchase order is not considered a contract! A contract that calls for litigation in your country is certainly useless with a Chinese supplier unless their company has assets in your country. If you want a contract (also called “OEM agreement”) that you can enforce in a Chinese court of law or in an arbitration body, it should be drafted by a lawyer who is familiar with China business. (I usually recommend Dan Harris and Steve Dickinson, from Harris Bricken). IP non-disclosure can be requested. The major benefit of having a contract is the leverage it gives you in front of your supplier. Naturally, you don’t want to sue them, but you can threaten them to do so! Drafting a Chinese contract is not cheap, but it is usually a one-time fee. Once you have the template, you can probably re-use it for other orders if the supplier accepts the same terms. It should be structured so that only the exhibits (product specs, purchase order…) need to be changed from order to order. I have mentioned several times the need to be very precise, and to specify what is required down to the finite details. The next article in this series, we’ll see how a buyer can describe his expectations when it comes to the product itself.